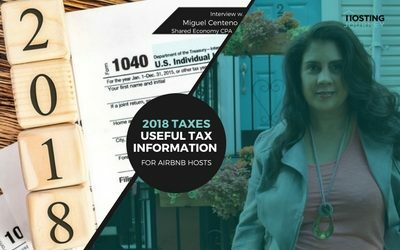 2018 Useful Tax information for Airbnb Hosts with special guest Miguel Centeno of Sharing Economy. Miguel is a certified accountant, and much more. We discuss Airbnb 1099 and how to receive it; how to figure your real earnings;. And what you can deduct. We also review direct/indirect expenses, gross receipts, taxable Airbnb fees, and how to use designated credit cards for quick itemizing and much, much more.